Templeton California was fathered by the railroad in 1886. As the Southern Pacific Railroad was building to the south, the location of Templeton, halfway between Paso Robles and Atascadero, was designated as the End of the Line. Passengers would there disembark and travel south to San Luis Obispo and points beyond by stagecoach. In 1891 the railroad continued south to the next depot at the town of Santa Margarita. 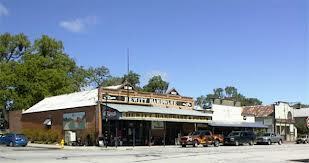 The name of the town was to be Crocker, after Charles Crocker, the Vice President of the Southern Pacific RR. But when it was discovered that there was another town in California by that name, Crocker changed the name to Templeton, which was the name of Crockers two year old son. 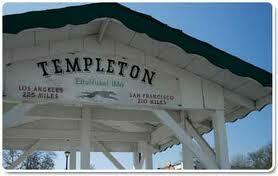 Templeton California was created from a 160 acre parcel the railroad owned. It was laid out as a town adjacent to the train depot and had both commercial and residential lots, as well as 5 to 12 acre parcels. In its heyday, it had a reputation for its saloon brawls and wild ‘n’ rough street scenes. The town continues to display that “old west” character in the design of the buildings on Main Street, and the residents have a vision to preserve its colorful past. 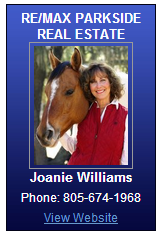 Today, Templeton California, an unincorporated portion of San Luis Obispo County, has about 7700 residents. 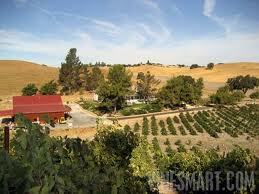 This area is becoming well know for world class wineries such as Castoro, Niner, Denner and Wild Horse. There is also a large medical community located in Templeton in conjunction with Twin Cities Hospital which serves all of the North portion of the county. The town is a fun place to visit with organic gardens, excellent restaurants, antique stores, and a lovely downtown park along Crocker Street just off the main road through town. Templeton has one high school with a wonderful performing arts center. This area is well loved by its residents and is often considered as a possible place to relocate by anyone looking in this area of California. The railroad chose well when they located this town so close to El Camino Real with the Salinas River in it’s backyard. Well worth a visit! You just might decide to stay! And “Always Expect the Best”…. This entry was posted in Community, Real Estate News, Templeton and tagged Templeton California. Bookmark the permalink.